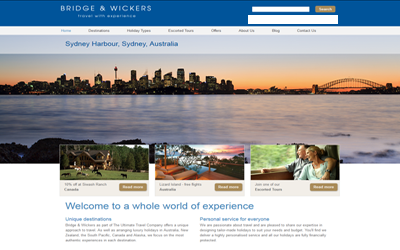 In March of 2012, Bridge & Wickers became part of The Ultimate Travel Company, another independently owned tour operator. In 2013, The Ultimate Travel Company (TUTC) retained Dean Marshall Consultancy Ltd to undertake a new website build, migrating across their current content which was within ZOO. 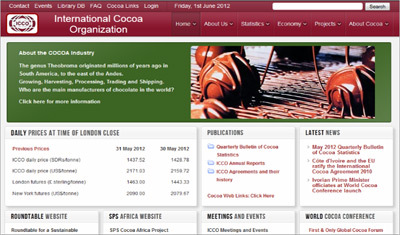 The United Nations International Cocoa Organization (ICCO) is a global organization, composed of both cocoa producing and cocoa consuming member countries. Located in London, ICCO was established in 1973 to put into effect the first International Cocoa Agreement which was negotiated in Geneva at a United Nations International Cocoa Conference. 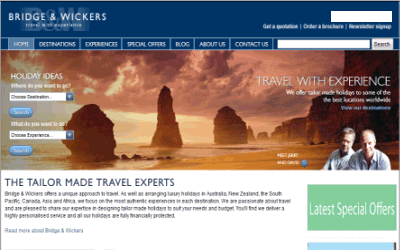 Bridge & Wickers offer a unique approach to travel, arranging luxury holidays in Australia, New Zealand, the South Pacific, Canada, Asia and Africa. Passionate about travel and pleased to share our expertise they deliver a highly personalised service. Jerry Bridge created the successful travel company Bridge The World - specialising in 'round the world' air tickets. David Wickers was former Chief Travel Correspondent on The Sunday Times and three times winner of ‘Travel Writer of the Year’. 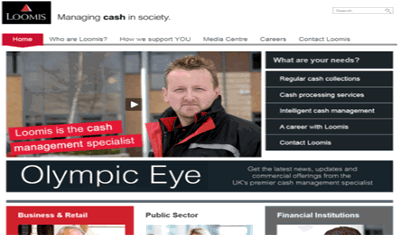 Loomis are a UK's leading cash management specialist – providing services to organisations that handle large volumes of money. They provide secure transport, fraud prevention and can even analyse and provide understanding on how the cash flows within your business. Butler & Wilson (established 1969) began selling antique jewellery from a stand in the Antiquaries Market in the Kings Road, Chelsea. Butler & Wilson, have now been storming the fashion world for over 40 years with a host of show-stopping pieces, becoming one of the most glamorous brands and a favorite among the stars. 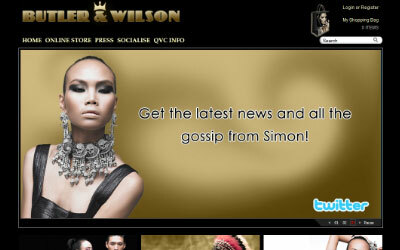 As well as operating a concession in Harrods, opened a shop on Sunset Boulevard, Hollywood, and opened a store in Prince’s Square Glasgow, Butler & Wilson have partnered with QVC since 1994. CSG is an established single source provider of information and communication technology (ICT) services to businesses and organisations throughout Wales, South West England, the Midlands and beyond. They supply, install and maintain market-leading software, telephony and IT systems. CSG have more than 25 years experience supplying, installing and maintaining market-leading software, telephony and IT systems. 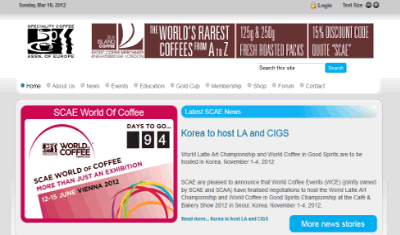 The Speciality Coffee Association of Europe (SCAE) is an association with members looking for coffee excellence. With members in more than 70 countries (not just Europe), with national chapters in a growing number of these countries, on the ground locally to meet the needs of members, working within their own national coffee traditions. SCAE is a recognised force with governments and international organisations on a global level, lobbying strongly for the cause of quality coffee. 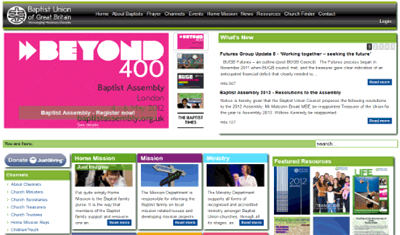 Representing the community of Baptist Churches and congregations throughout the UK. 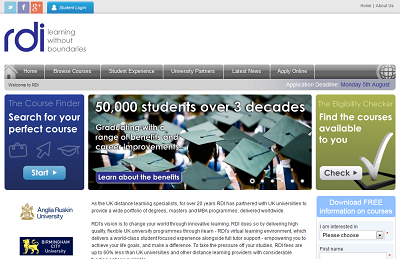 The BUGB have built their own website – frequently calling upon the support of Dean Marshall Consultancy for technical guidance and hands on assistance. The website, running to many thousands of pages features: you-tube integration, video downloads, flicker image gallery integration, Access Control limiting access to certain management roles. 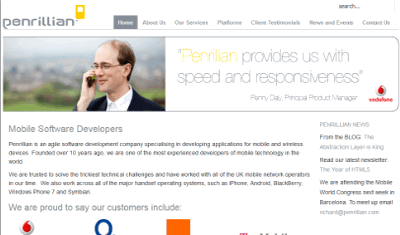 Penrillian develop software for mobile phones. Charles Weir – the company founder – was lead architect on Ericson R380 the first commercially available smart phone. Penrillian also develop and maintain the Symbian OS Unit Testing framework.